1. Go to View - Preferences and select Global Preferences from the top and then Third Party URL's. 2. 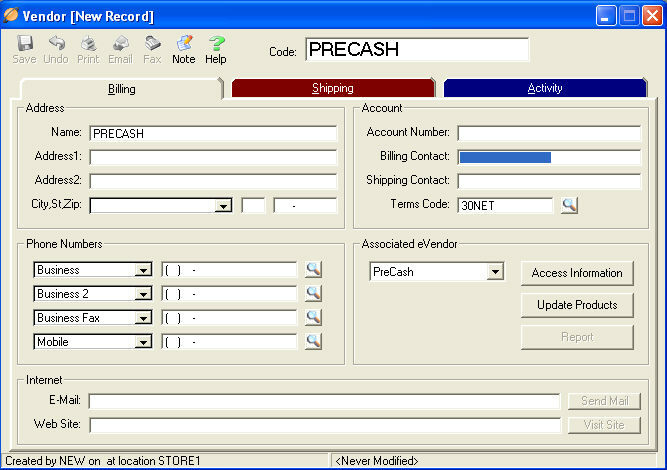 Enter PreCash under Code and enter PreCash as Name, no other information is required. Click save. 3. 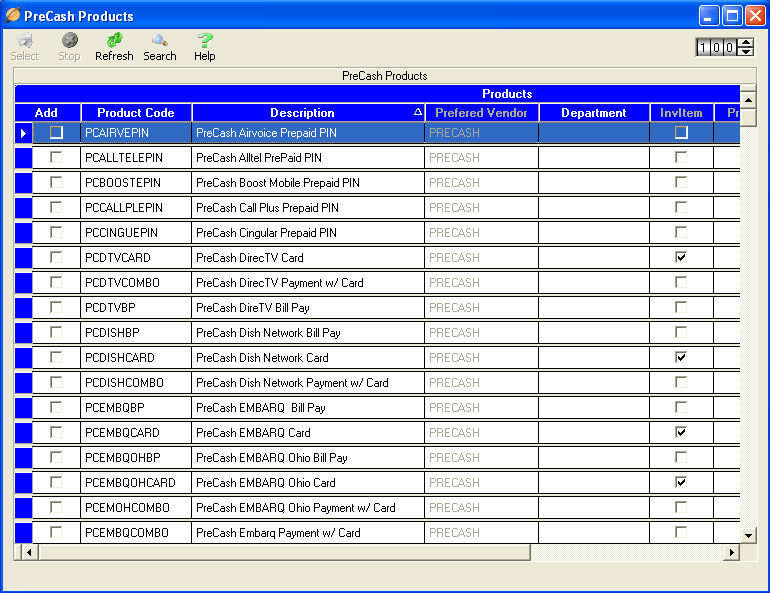 Select PreCash from Associated eVendor drop-down box and click Save.